We offer a one off service for your machine. If it hasn’t been serviced it could be costing you more than it should to print and us the machine. Make sure you get one booked in! To ensure your photocopier is kept in the best condition in order to minimise ‘downtime’, we strongly recommend that you have a maintenance service plan in place. We offer a range of photocopier maintenance contracts. Copy Print Services understands the frustration caused when a machine isn’t working and starts to affect your business activities. 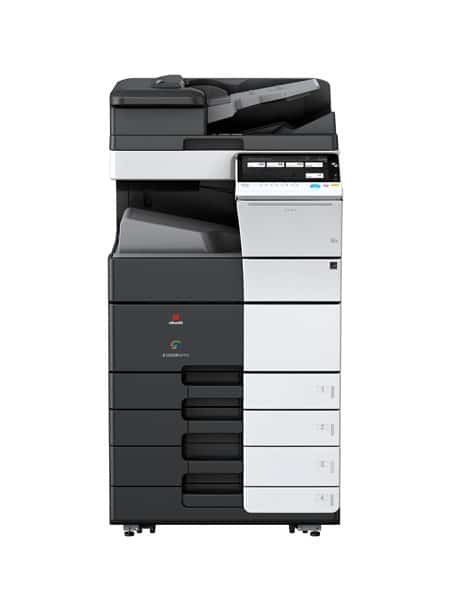 All our photocopier maintenance contracts offer peace of mind to our customers and generally cover the cost of all labour and any parts required, with no hidden costs. We are also fully committed to providing preventative maintenance on every machine through regular and pro-active service calls that involve cleaning, adjusting and replacing parts. This allows us to anticipate potential problems before they occur. And, in the unlikely event, that we can’t repair your machine, we will replace it the same day to ensure that your business is not adversely affected. Our maintenance contracts cover whether there’s a fault with a machine or even one of your employees struggling to use a machine. We will come over and sort out the machine whatever the problem. We use the latest software and dedicated staff to ensure that all service calls are dealt with quickly, efficiently and effectively. Copy Print Services not only responds to the majority of service calls within 4 hours (average response time is 2.5 hours), 98.5% of these calls are resolved on a ‘first time fix’ basis because our engineers are highly qualified and competent and carry a comprehensive stock of spare parts which ensures that downtime is kept to a minimum for our customers. If your machine hasn’t had a service in over 12 months or you are concerned that it may need some attention, we are happy to provide a one-off service even if you lease the machine from another supplier. Our one-off service consists of a detailed inspection of the machine, testing of all relevant mechanical and electrical parts, and providing a written report detailing the state of the machine and if any work may be required. Generally, we charge a flat-rate fee of £59 plus VAT for a one-off service (depending on the machine). This fee includes the first half hour. We charge £59 per hour thereafter. We guarantee any repairs we complete for 6 months. Photocopier servicing by our in-house engineering team. All parts used also come with at a 12-month manufacturer’s warranty. We repair the following makes: Canon, Konica Minolta, Ricoh, Infotec, Gestetner, Rex rotary, Nashuatec, HP, Sharp, Develop, and Samsung.